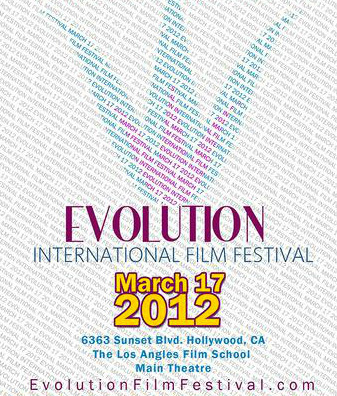 The Evolution International Film Festival has announced their full program. You can see the complete listing here. I will be present at the Los Angeles screening for a Q&A. Below is a brief interview I did for the festival. The impetus arose from a visit to South Dakota in the summer of 2007. I took a lot of pictures of the people and landscapes and could see a film out of that. Around this time I was feeling disenchanted by screenwriting and just wanted to “write” something with the camera. South Dakota provided its own stories. How long was your pre-production for your film? Pre-production was short because I just needed two other good cameramen and a truck filled with equipment. I started shooting it in the summer of 2008 and was in a constant state of production/post-production (editorial mostly) until I finished the film in the fall of 2010. How many days did you shoot and over what amount of time? How did you raise the funds necessary to shoot this film? I shot the film over the course of the different seasons to lend the film a seasonal structure which also met with financial obligations; since I was shooting it piecemeal and over a great length of time it allowed me to pay incrementally as I went along instead of having to have a budget all at one time. Fortunately, a lot of very generous and talented friends contributed their time and resources to see the film get made. What other Festivals have screened your film and did you win any awards so far? The film has screened at Slamdance and the Maryland International Film Fest. It won two awards at Slamdance; Kodak Vision award for best cinematography and the Spirit of Slamdance award. Maryland International Film Fest was non-competition, a great festival. Shunka doesn’t fit an easy genre so despite a lot of initial interest from programmers worldwide its hard to find festivals that will pick it up. I’m grateful for a festival like Evolution that endeavors to find such films and put them on the big screen. What influenced you to find the cinematic language used in the film? I wanted to “write” with the camera and find/uncover something with the lens. So that included piling on a couple of macro lenses and filming bugs. In the end it yielded a neat tapestry of interconnectedness. Tell us about your crew and your workflow with your cinematographer? We were a small crew that rotated members with each outing to South Dakota, never more than three people. Between Corey, Andrew and myself we shot a couple hundred hours of footage and used only a fraction of it in the final film. When we shot the Phantom, high speed photography footage, we probably had about a 2:1 shooting ratio because it was the last thing we shot and we knew exactly what we wanted because the movie had already been cut and nearly finished. What kind of prep/research work did you do before shooting? We built all of our own rigs; dollie tracks out of PVC pipes, a zipline to ropeslide a camera down (it hit a tree and fell in the snow, but survived), a camera car mount out of a skate dollie that we repurposed onto the roof of the vehicle. I went to high school in South Dakota for a year and knew all or most of the people in advance. Yes, steadfastly working on a script. It will be hard to have the autonomy I enjoyed with Shunka.